BEIJING — Lu Weixing decided this year to run as an independent candidate for a local council position in Beijing. Lost for the right words to describe what came next, he stuck his hand into his pocket and fished out a white and orange Vitamin C tube. He tilted it forward until a single tooth rolled out. “They beat me and then I lost a tooth,” Lu said recently. Voting for the largely powerless councils happened Tuesday. Lu’s name was not on the ballot. The next day, International Monetary Fund chief Christine Lagarde flew into Beijing, likely seeking financial help from China to prop up the European Union’s flailing economy. What are the consequences of an opaque, authoritarian government hurtling toward such immense international power? The lack of a clear answer has created an ambiguous and, to critics, an unsettling situation. 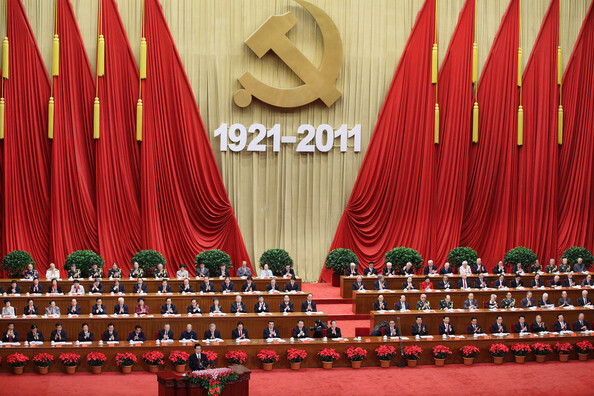 Most Chinese, pleased by the material gains of the past few decades, stay away from politics. But in instances when someone openly defies the Chinese Communist Party’s sense of order, the consequences can be severe. That same party is now in command of the second-largest economy in the world, and increasingly it calls the shots when the West comes hat in hand. A few weeks before the trip by Lagarde, the head of the European Union’s bailout fund made a similar appearance in Beijing. There was a time when analysts in Washington spoke hopefully that China’s economic growth would lead to a broad expansion of civil liberties. Engage China’s business interests, the thinking went, and the government’s harsh ways would relax. Decades later, that has not happened. Instead, China continues to be guided by a system that at its core would be familiar to Vladimir Lenin when he founded the disappeared Soviet Union 94 years ago: a secretive group of nine men in the standing committee of a politburo, and a Communist Party that seeks a firm grip on all facets of society. The first part of the equation, however, has been more successful than anyone could have imagined when China began its “Reform and Opening-up” at the end of the 1970s. Trade between the United States and China reached some $457 billion last year. Fueled by its seemingly endless exports, Beijing now holds more than $1.1 trillion in American Treasury debt. As Lu found out after returning last year from a decade abroad in France, that extends all the way down to obscure neighborhood politics. His quirky and unsanctioned campaign in west Beijing included wearing a cap with a long queue braid reminiscent of the Qing Dynasty. It was a reminder that although 100 years have passed since the Qing fell, China’s central government is still ruled by non-elected officials. President Obama is creating a post-American world – one that is ushering in the dominance of China. Mr. Obama is fostering U.S. economic and military decline while simultaneously empowering Beijing’s rise to superpower status. China’s communists are on the march. Unless Americans wake up to the growing threat, both internal and external, our victory in the Cold War will have been useless. The authors reveal that Beijing believes it is in a life-and-death struggle against America. 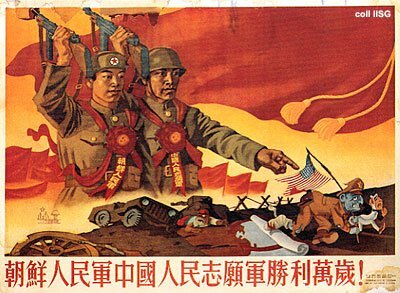 For years, China’s ruthless communist regime has been committing hostile, aggressive acts – stealing valuable military technology, blatantly violating patent and intellectual property laws, manipulating its currency to artificially boost exports to the United States, lying about the nature and extent of its massive military buildup, sending spies into the highest echelons of our government and private sector, hacking into our computer networks, waging cyberwarfare, purchasing stakes in major banks, and cultivating our economic dependence on Chinese business. In response, Mr. Obama has embraced the Chinese dragon. In January 2011, he acceded to Chinese demands and gave a state dinner honoring President Hu Jintao. Mr. Obama praised Mr. Hu as a statesman and welcomed China’s prominent role in world affairs. It was a craven surrender. The authors point out that while he was communist party chief in Tibet, Mr. Hu oversaw the slaughter of hundreds of Tibetan Buddhist monks. Moreover, he has ruled China with an iron fist. Thousands of dissidents have been murdered or rot in jail. The media is heavily censored. Free speech is nonexistent. Basic human rights are abrogated routinely. The country’s Christians, Falun Gong and Muslims face state-sanctioned persecution. 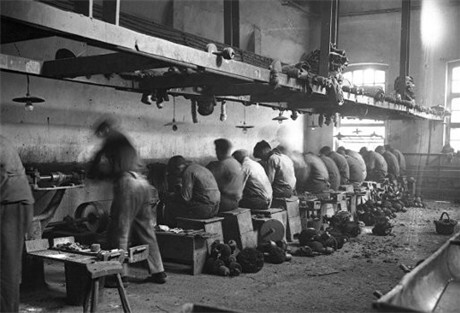 Tens of millions are in gulags, being used as slave labor to drive China’s booming economy. 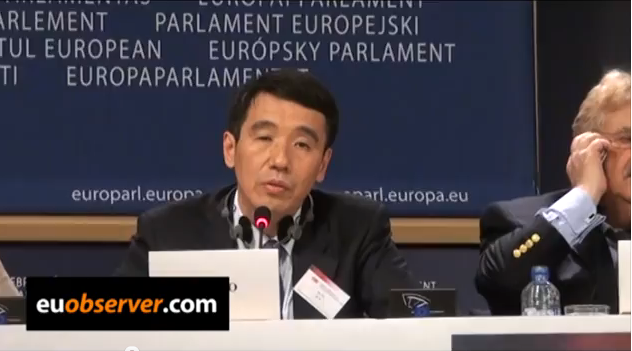 Mr. Hu staunchly supports Beijing’s genocidal one-child policy, which has led to millions of forced abortions and has coerced countless women to be sterilized against their will. He is not a progressive visionary; rather, he is a butcher. This is the man Mr. Obama toasts – and to whom he bows. At a major nuclear summit in 2010, Mr. Obama bent over and bowed fully to Mr. Hu. The Chinese leader did not reciprocate. In fact, his face and body language conveyed the opposite: contempt. The protocol breech is nuts, and frequent. As president, Mr. Obama is constantly abnegating himself to foreign leaders. The emperor of Japan, the king of Saudi Arabia, the queen of England – there is almost no one to whom he will not bow. Domestically, he has bowed to New Jersey Gov. Chris Christie and even to the Democratic mayor of Tampa Bay. It is odd. The authors say Mr. Obama even has bowed repeatedly to midlevel Chinese functionaries. His submissive behavior does more than demean and degrade the presidency. 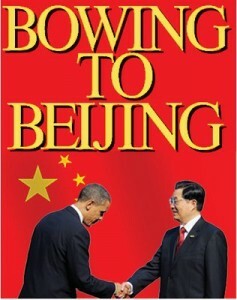 For the authors, it rightly signifies Washington’s growing subservience to Beijing. Under Mr. Obama, America’s national debt has soared to nearly $15 trillion. Obamacare, the massive stimulus, crippling regulations and the reckless borrowing and public spending have brought us to the brink of bankruptcy. The private sector has been shackled. Economic sclerosis has set in. Our military lacks the dynamic economy necessary to sustain our global standing. Mr. Obama has significantly weakened American power. China is filling the vacuum. Beijing now owns more than $1.3 trillion of U.S. debt. It annually runs huge trade surpluses, flooding our market with everything from toys to computers to manufacturing products. America’s industrial base is being wiped out. As we become the world’s greatest debtor nation, China is amassing more than $3 trillion in hard-currency reserves. Its economy is exploding, fueling annual growth rates averaging 10 percent for nearly two decades. When confronted with the overwhelming evidence of Chinese expansionism and nefarious duplicity, the Obama administration has refused to take action. The reason is simple: America is turning into an economic vassal of China. 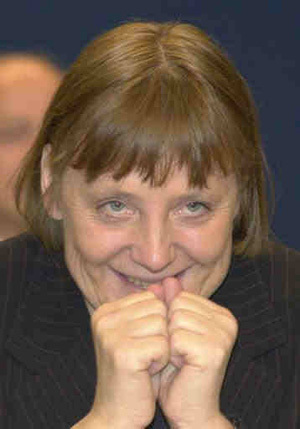 We can no longer afford to upset – never mind challenge – our new imperial master. Instead, we must bow. This is Mr. Obama’s real, enduring and shameful legacy. We didn’t win the Cold War. Communist China did. PHNOM PENH, Cambodia (AP) — Three top Khmer Rouge leaders accused of orchestrating Cambodia’s “killing fields” face a court Monday as a U.N.-backed tribunal begins their trials more than three decades after some of the 20th century’s worst atrocities. Survivors of the regime held a remembrance ceremony outside Phnom Penh on Sunday. 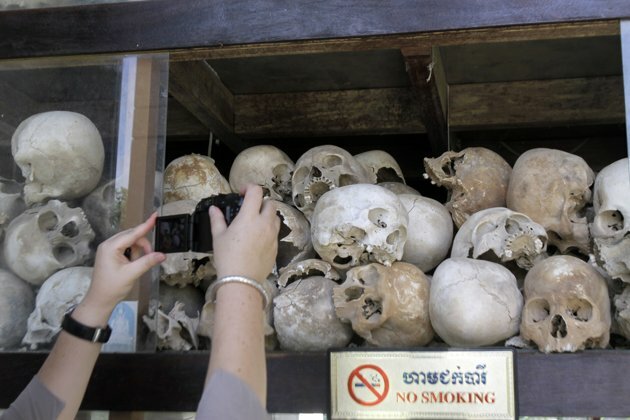 Relatives of the victims wept as they chanted and burned incense near a glass case filled with skulls at Choeung Ek Genocide Center, a memorial built in a field where bones still jut out from the ground, remnants of the Khmer Rouge mass executions. The emotional ceremony was held to allow Cambodians an opportunity to share their concerns and remember loved ones ahead of the trials of three of the Khmer Rouge’s surviving inner circle — all now in their 80s — on charges including crimes against humanity, genocide and torture in connection with the Khmer Rouge’s 1975-79 reign of terror. An estimated 1.7 million people died of execution, starvation, exhaustion or lack of medical care as a result of the Khmer Rouge’s radical policies, which essentially turned all of Cambodia into a forced labor camp as the movement attempted to create a pure agrarian socialist society. Intellectuals, entrepreneurs and anyone considered were imprisoned, tortured and often executed. “It sends a message that the trial, which survivors have been waiting more then three decades for, finally begins,” he said. The defendants are 85-year-old Nuon Chea, the Khmer Rouge’s chief ideologist and the No. 2 leader behind the late Pol Pot; 80-year-old Khieu Samphan, an ex-head of state; and 86-year-old Ieng Sary, the former foreign minister. The regime’s supreme leader, Pol Pot, died in 1998 in Cambodia’s jungles while a prisoner of his own comrades, who after being toppled from power fought a guerrilla war that did not fully end in the late 1990s . After a bloody civil war, the Khmer Rouge guerrillas took power in 1975 and all but sealed off the country to the outside world. It immediately emptied the capital Phnom Penh of almost all its inhabitants, sending them to vast rural communes as part of an effort to turn the country into a socialist utopia. With intellectuals and anyone too closely associated with the previous regime purged, an economic and social disaster ensued. The failures only fed the group’s paranoia, and imagined traitors said to be working with the U.S., or Vietnam, the country’s traditional enemy, were hunted down, only plunging the country further into chaos. Vietnam, whose border provinces had suffered bloody attacks, sponsored a resistance movement and invaded, ousting the Khmer Rouge from power in 1979 and installing a client government. The U.N.-backed tribunal, which was established in 2006, has tried just one case, convicting Kaing Guek Eav, the former head of the regime’s notorious S-21 prison, last July and sentencing him to 35 years in prison for war crimes, crimes against humanity and other offenses. There has been concern that the top Khmer Rouge leaders, all aging and in poor health, could die before a verdict is delivered. The tribunal announced in September that it would try to expedite the proceedings by splitting up the charges. Huy Vannak said he didn’t know how the trial would last but said the tribunal will take time to examine each accused, civil party and witness to ensure that the trial is fair. MOSCOW (AP) — Russian Prime Minister Vladimir Putin was greeted by catcalls when he stepped into the ring after a mixed martial arts fight at a Moscow arena on Sunday night. The whistles and shouts, heard clearly on the live television broadcast, were an unprecedented rebuke as Putin prepares to return to the presidency next year. A judo enthusiast, Putin has long been an admirer of Russian heavyweight mixed martial artist Fedor Emelianenko and came to see him take on American Jeff Monson. After Emelianenko won, Putin stepped into the ring to congratulate him, but was met with catcalls from many of the 22,000 fans at the Olympic Stadium. Russian Professional Boxing Federation spokesman Andrei Bazdrev said on Ekho Moskvy radio that Putin seemed taken aback by the unexpected negative reaction, but quickly regained his composure. Speaking over the din, Putin praised Emelianenko as a “real Russian bogatyr,” a term for a medieval warrior. The video was quickly posted on the Internet. “The end of an era,” Alexei Navalny, one of Russia’s best-known bloggers, wrote on Twitter. While Putin remains highly popular in Russia, his approval ratings have fallen steadily in recent months. The independent Levada Center said polling done in late October showed Putin with 61 percent support, down from 77 percent a year ago. Putin, who was president from 2000 to 2008, has announced plans to run for a third term in March. Even though he is all but certain to win the election, he has been actively campaigning for months, eager to show that he remains strong and vigorous at 59. On Friday, he put on skates and invited television crews to film him playing a game with former hockey stars in which he was allowed to score. Russians, however, are showing less tolerance for his televised publicity stunts, and this is particularly true in Moscow and other large cities where social media use is high. Last month, Putin’s spokesman was compelled to acknowledge that a diving expedition during which the prime minister had retrieved two ancient Greek jug fragments from the seabed was staged.